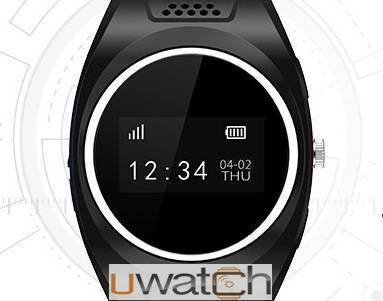 UWatch provides two way voice calling and real-time location tracking. People can dial into the watch and also the child can dial from the watch to the parent’s mobile number. It also provides location tracking facility via GSM/GPS positioning so that parents can be aware of their kids’ location. Parent and child not only communicate with each other but it also let parent to live monitor the movement of the kid. This watch is controlled by a mobile app (for both Android and iOS mobiles). Voice calling: You can select three phone numbers that your kid's watch can call and receive calls from. All other numbers will be blocked. Real time location tracking: With the help of Ufone network and satellite technology, location of your child will be displayed on your mobile's UWatch app. Safe Zones / Geo Fence: Safe zone can be set up for your child, a notification will be sent to you when your child will be out of it. SOS/ Emergency Call: Emergency button will call to a predefined number and also send the location via SMS. Tracking History Playback: You can view the location tracking history of your child for last 90 days. Water Resistant: It is splash proof. It is available in three colors; black, blue and pink. Price of UWatch is Rs.6,999. Subscription charges are Rs.3,000 per year including tracking, free minutes, free SMS, free internet, taxes and all other charges. Monthly free resources include 100 U2U minutes, 100 MBs internet and 2000 SMS. After the consumption of free monthly resources, charges of Rs.2+tax/min for all voice calls, Rs.20+tax/MB and Re 1+tax/SMS will apply. Visit nearest Ufone Customer Service Center.